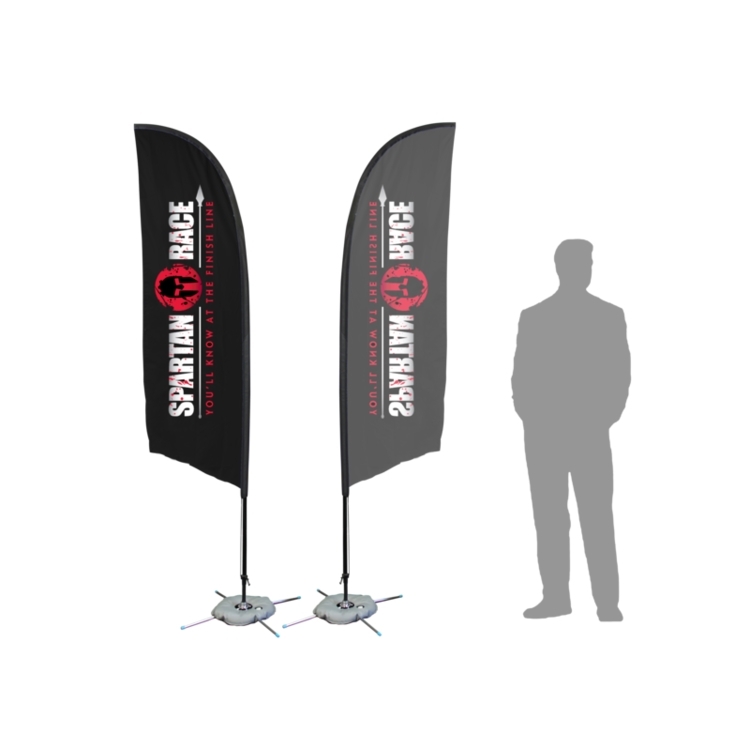 Our Sun Blade 8ft single sided flag is part of our custom printed flags collection that is a simple and affordable solution for effective branding. This popular feather shaped flag is not only simple to set up without tools, but also light & conveniently transportable. The poles, made from premium fiberglass, are strong and flexible. We use top quality polyester and high resolution printing techniques so that logos and designs visibly stand out from any location. Fully printed it can be customized with any design, color or logo. All of our flags come with a tension strap that is convenient for attaching your flag to your tent with a zip tie. To easily store and carry your flag a free flag carrying bag is included. Multiple sizes available from 8ft to 17ft.